1985, Starring Tim Choate, Douglas Carrigan, Maury Chaykin, Kate Lynch, Peter Falconer. Directed by Paul Donovan. Canadian critics can endlessly debate the positive and negative effects tax shelters had on Canadian film in the late 1970s and early 1980s. While most agree that they were largely detrimental, there is no denying that this influx of private money allowed many budding filmmakers to get opportunities they otherwise wouldn't have had. Halifax's Paul Donovan was one of these talented young directors who used the tax shelters to his advantage, building one of the most successful television and film production companies in not only the Atlantic provinces, but in Canada as a whole. After being repeatedly rejected for CFDC funding, Donovan and his lawyer/producer brother Michael set up Salter Street Films, a small movie house, in 1979. With the help of private investors, Donovan made a handful of low-budget exploitation features like Siege and Def-Con 4. 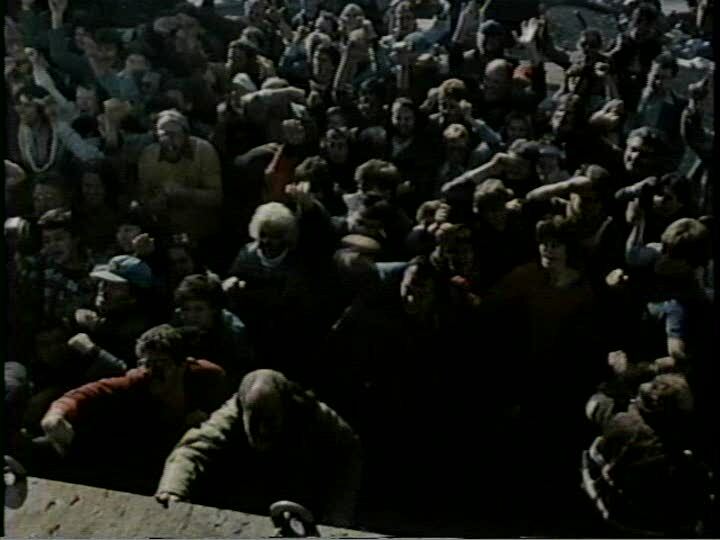 As the casualties of the tax shelter fallout began to vanish through the mid-1980s, Salter Street singlehandedly held the fort for maritime film production. Through their genre films, the Donovans gained a foothold in the industry that later allowed them to attempt more "Canadian" fare in the early 1990s. The results were disastrous, as anyone who has sat through the indescribably bad arthouse farce Paint Cans or the Codco snooze-fest Buried on Sunday can tell you. Although Salter Street has veered away from feature film production these days, the Donovans have gone on to huge success with television programs including This Hour has 22 Minutes and Lexx. There is no denying Salter Street's influence on Canadian film, and until their most recent successes, the jewel in their slightly tarnished crown was undoubtedly Def-Con 4, a post-nuclear war tale with Maury Chaykin. The film begins in outer space, where three astronauts are orbiting the earth in a space station. Captain Walker, wishy-washy communications officer Howe, and Jordan, a female scientist, monitor for signs of Communist attack on North America. If they should see anything strange, they are supposed to launch the station's nuclear payload on Russia (you would think this would be controlled remotely...). 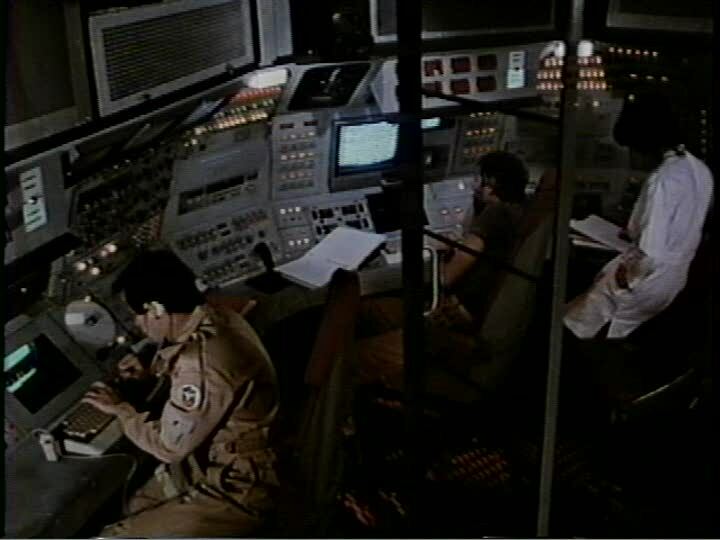 Needless to say, war breaks out and while the crew argues about whether they should press the button, Howe detects a missile heading for them. They launch their bombs, successfully intercepting the missile. In the following days, the crew takes to arguing again, this time about whether or not they should return to war-torn Earth. Howe believes his wife might still be alive, but Jordan and Walker, who have no families, convince him otherwise. Before long, the choice is made for them by someone on Earth an override program brings the station hurtling home. They crash land on a beach, and Jordan is knocked unconscious by the blow. Walker starts digging his way out through the sand blocking the door, but suddenly he is yanked from view by an unseen force. Howe's concern turns to horror as he hears screams and Walker's bloody arm is tossed back into the capsule. After looking at the arm for awhile, Howe gets his courage up and starts exploring outside. When he stumbles on a couple of dirty looking men enjoying a fine meal of barbecued Walker, he runs away into a nearby forest and gets his legs caught in an animal trap. And if there's anything worse than being hunted down like an animal, it's being hunted down like an animal by a kilt-wearing Maury Chaykin. 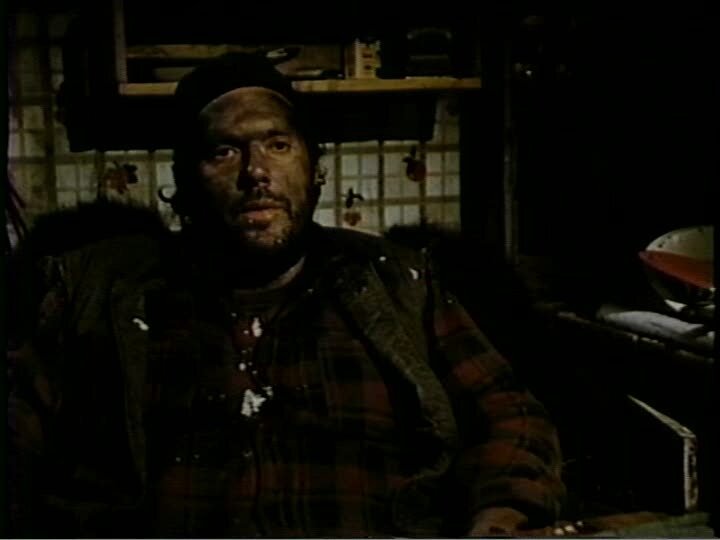 Chaykin plays Vinnie, a greasy survivalist who ties up Howe and leads him back to a boobytrapped shack. There, Vinnie steals his watch and demands that Howe bring him the food from his ship. When Howe lets it slip that there is a woman back at his ship, he starts licking his grungy lips and goes out to prepare his truck a customized creation that looks like a cross between a tank and a bulldozer. While he is gone, a young girl named J.J. climbs out of Vinnie's cellar and starts eating jam, paying no attention to the bound Howe. After getting her attention, Howe convinces her to untie him so they can escape. Just as they are grabbing some rifles, Vinnie returns and thwarts their efforts. He loads them into his vehicle and they head out on a scavenger mission to the crashed ship. On the way there they are attacked by a group of young punks called "Terminals," but Vinnie fends them off easily, running over a few in the process. When they arrive at the beach though, Vinnie is stopped by a much more resourceful group of vigilantes. A full army unit tethers Vinnie's vehicle down with chains and anchors, and all three are captured along with the remnants of the ship. 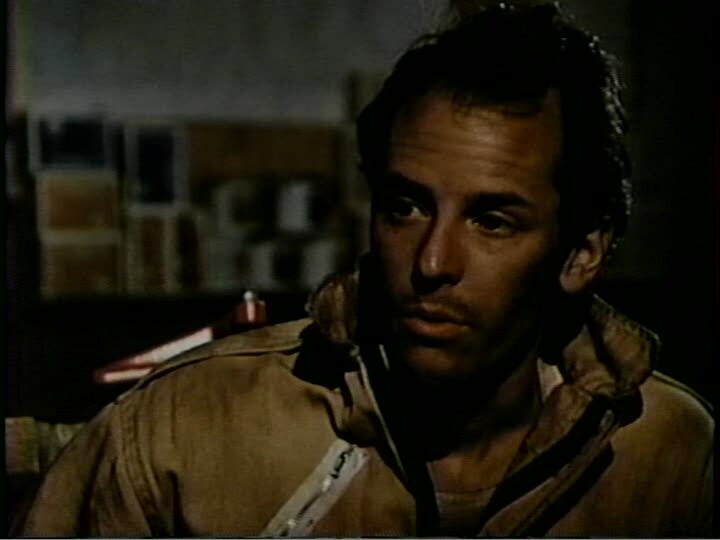 The prisoners are taken back to an army compound where they are thrown in cages, and Howe has a short reunion with Jordan. The plot finally begins to unfold as they are taken before Gideon, the teenage head of the compound. Gideon survived the nuclear blast because he and his girlfriend, J.J., were taken away by his father (a high ranking military officer) in an army helicopter. They were saved from the bombs, but the copter crashed leaving JJ, Gideon and two army personnel as the only survivors. Gideon's new right hand man Lacey survived intact, but Boomer, an army technician, was paralyzed in the accident. Now, Gideon wants to sail away to a "safe zone" one of only a few radiation-proof spots around the world that the army has kept for nuclear emergencies. We learn that under Gideon's abuse, Boomer was the one who brought the space station back to Earth, and now he demands the technician use an army computer to find a safe zone that has yet to be destroyed. When J.J. refuses to go off again with her (now ex-)boyfriend, Gideon makes all his prisoners stand trial in the burnt out hull of a commercial jetliner, sentencing them all to death. On the gallows the next day, Howe tricks Gideon into trusting him and sets his new friends free, only to return that night with Vinnie's homemade assault vehicle. But Gideon has already boarded a large sailboat, heading off to the elusive "safe zone." Def Con 4 was the third film that Paul Donovan made, after South Pacific 1942, a war epic, and Siege, a film about a gay teen hiding from a gang. Like Siege, Def Con 4 is ostensibly about the terror of losing control and becoming powerless against an intimidating group of thugs out to do you harm. Although it would be misleading to label these movies as "rural revenge" films in the strictest sense, each can definitely be seen as continuations of the themes laid out in that late 1970s Canadian genre which included such fare as Shoot and Death Weekend. Overall, Def-Con 4 was slightly better than I expected, but I can't say it registers more than a small blip on the radar of the nuclear holocaust genre. Not surprisingly, Def-Con 4 falls prey to many of the trappings of low-budget Canadian film poor character development, and an unpolished storyline. For some reason, Donovan also presents us with a wildly forested nuclear wasteland, despite the fact that many of the other production values are better than one might expect the court room plane is a nice touch, and I've definitely seen less convincing space stations. Likewise, Vinnie's truck must have taken some time and money to put together, even if it does look like a reject from an A-Team episode. 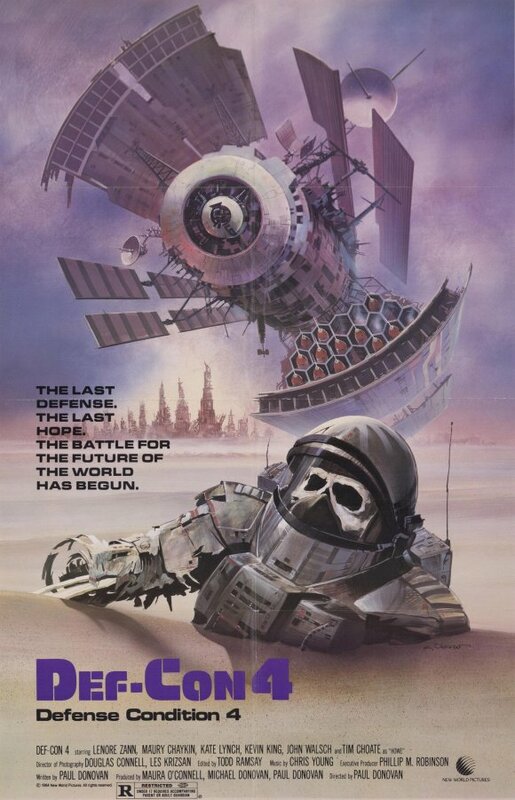 These days, Def-Con 4 is probably most notable not for it's story or acting, but for it's exceptional poster and video box art, which assuredly misled many in the early days of video store the film has made over five times it's $1.1 million budget. But let's face it, when your film is ultimately going to be compared to superior post-nuclear holocaust genre pictures like The Last Man on Earth and The Omega Man, what chance beyond a good ad campaign do you really have to be remembered?